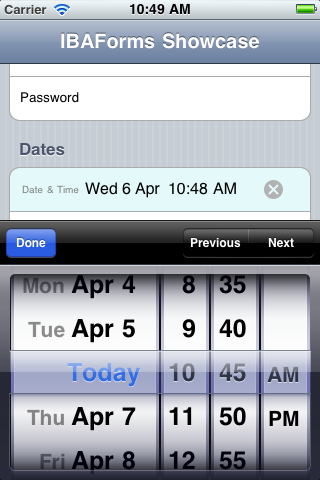 IBAForms is a framework for building data entry screens on the iPhone. You can quickly make forms using the built-in form field types or create your own custom fields and the user interfaces used to enter data for them. It is an Objective-C library that provides an abstraction layer above common UIKit classes such as UITableView and UITableViewCell.